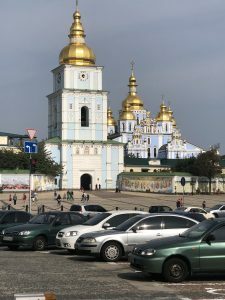 Faith is pretty easy in Kyiv. Looking out the windows of the apartment you can see the beautiful gold domes of the cathedrals. Sitting on the balcony drinking my coffee in the mornings, I often heard singing from one of the cathedrals, though I was never able to figure out which one. It was beautiful though. 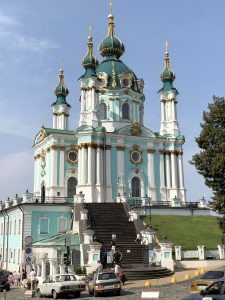 The vast majority of Ukrainian people are deeply religious people, and the majority are Orthodox Christian. 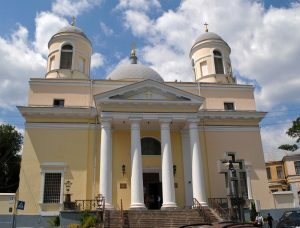 Today more than 97% of the registered religious communities in Ukraine are Christian. About half of them are Orthodox. The other half is split among Catholics and Protestants. 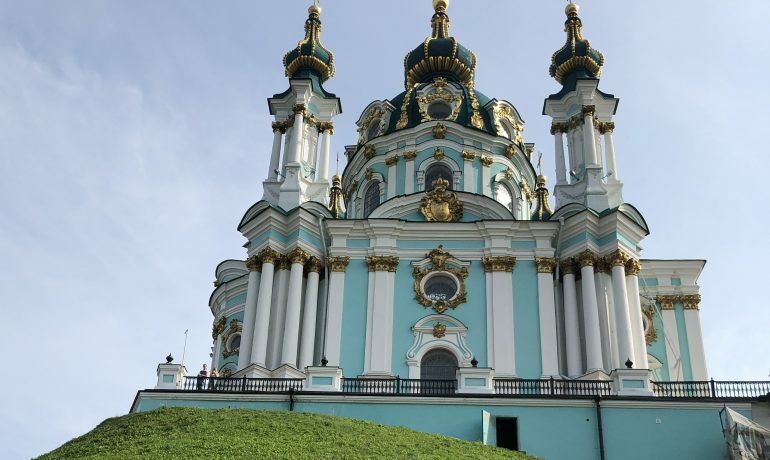 While running and walking through Kyiv, there were cathedrals everywhere, and they were all beautiful! I didn’t see any traditional looking churches you’d think of in the US, they were all cathedrals, and they were all big amazing, gold dome cathedrals. See above. Some of the cathedrals were available for tourist, but even those were still used for religious purposes. 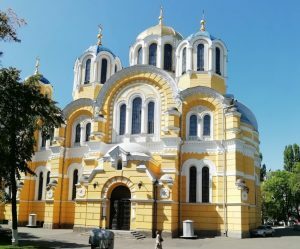 I personally didn’t find Kyiv to be very diverse, almost all the churches and cathedrals were Orthodox Christian. Being Orthodox Christina most all of the churches offer services daily, multiple times per day. 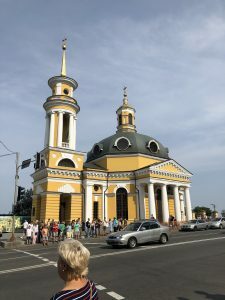 As for, what does “Sunday” mean, we were in the city center of Kyiv. The mains street was shut down every weekend, and the city turned into a street festival. We walked around most every weekend and just enjoyed the city. Because we were in the city center, I didn’t notice any difference in store hours, but I did see that Sunday mornings did seem to be a bit quieter.